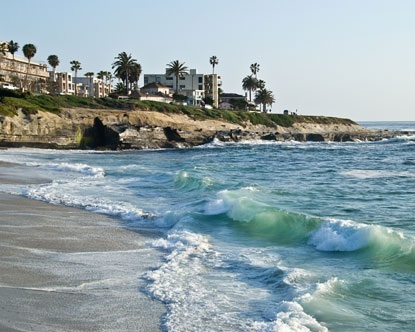 There are over 70 miles of beaches in San Diego County which provide all types of water sports and activities year round. In addition to the beaches are the bays, providing additional fun opportunities. The communities in San Diego all provide annual festivals, concerts and sport/games. The population of San Diego County is 3.211 million, making it the 2nd most populous County in nation, and the City of San Diego has approximately 1,394,928, making it the 8th largest city in the United States. The average temperature is 69.8 degrees with 146 days of sun and 117 days of partial sun. The sights don’t end in America’s Finest City with SeaWorld San Diego, San Diego City Zoo, Balboa Park, Wild Animal Park, Old Town, Little Italy, Belmont Park, Sea Port Village, Lego Land, Cabrillo National Monument, Torrey Pines State Natural Preserve, La Jolla Cove, Maritime Museum, San Diego’s Embarcadero—including the USS Midway carrier, and so much more. There are hiking trails for joggers and sight seers all over the county. Numerous camping opportunities in both National Forrest parks and at the beach. And San Diego is filled with history from its original discovery with Cabrillo National Monument (commemorating the landing of Juan Rodríguez Cabrillo at San Diego Bay on September 28, 1542), two of Father Junipero Serra’s missions (Mission San Luis Rey, 1798, and Mission San Diego de Alcala, 1769), study of indigenous tribes dating back thousands of years, Portuguese fishing fleets which occupied the bay for many years, to the multiple military bases in San Diego including North Island Naval Air Station in Coronado. Depending on where you want to be in San Diego, home values have a very wide range. San Diego Coastal Communities have typically higher values than the inland communities. Best to call with questions.